Learn from the best. 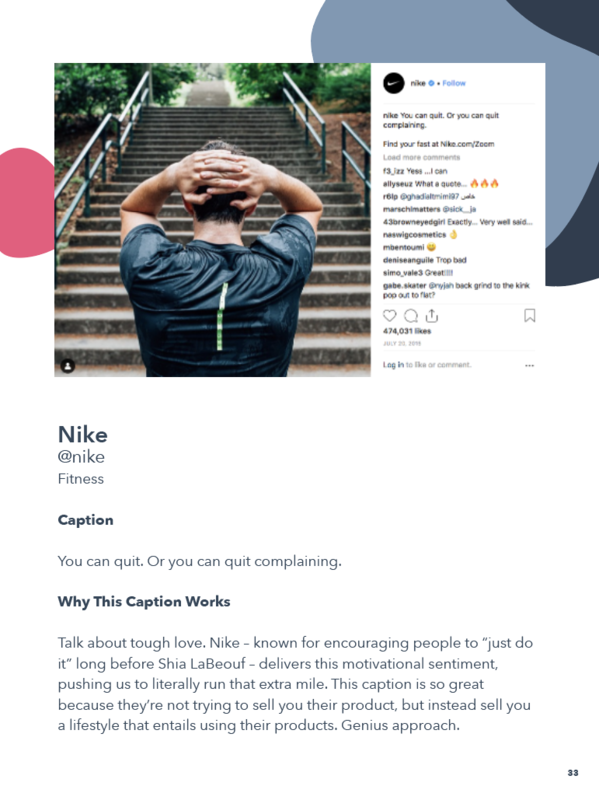 Access these inspirational Instagram captions. 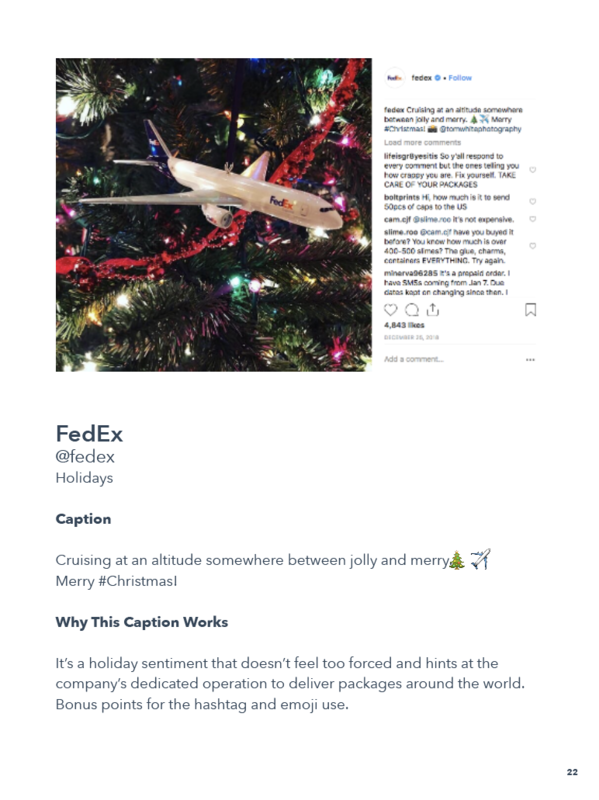 Learn how to write the perfect Instagram captions with the help of successful examples from Audi, LEGO, McDonald's, Target, and more. 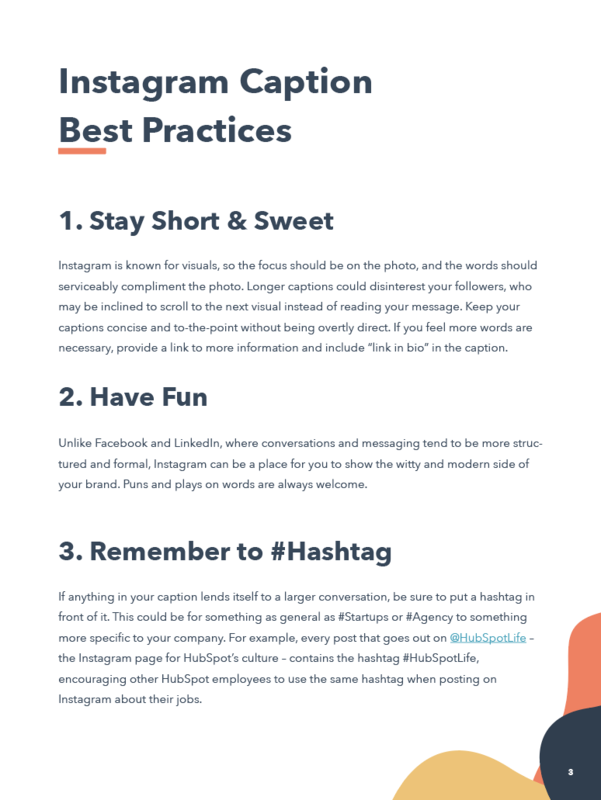 Instagram captions help elevate your company's social media success. Growing business is complicated. 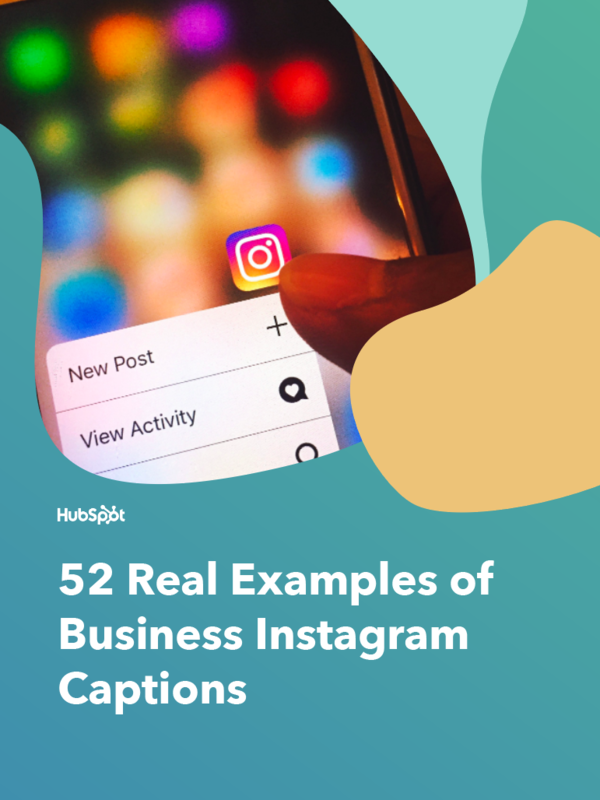 Among all the balance sheets, hiring processes, lead generation campaigns, company culture initiatives, and financial modeling, it’s easy to overlook one crucial aspect of a business in the age of social media: Instagram captions. 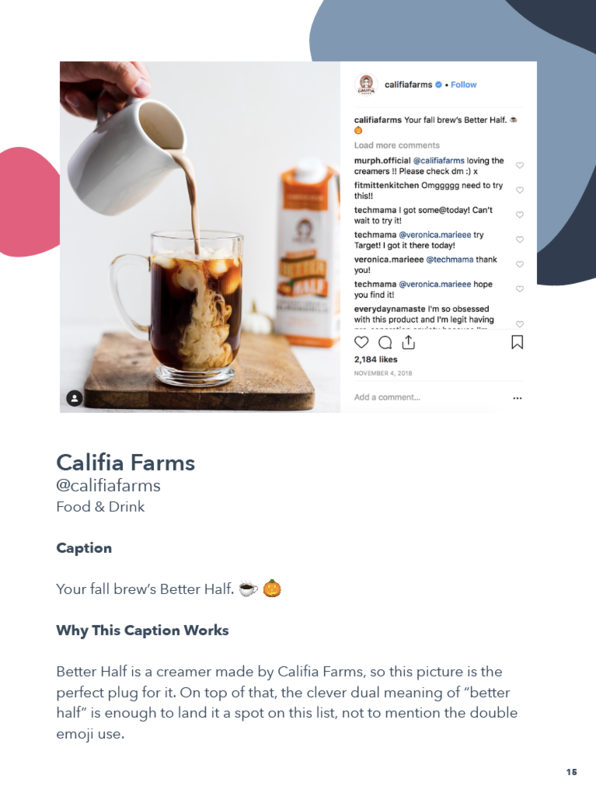 Instagram has more than one billion monthly users, so it makes sense that businesses want to get a presence on the site and somehow, someway, monetize that presence. This guide will help you on your mission to do just that. 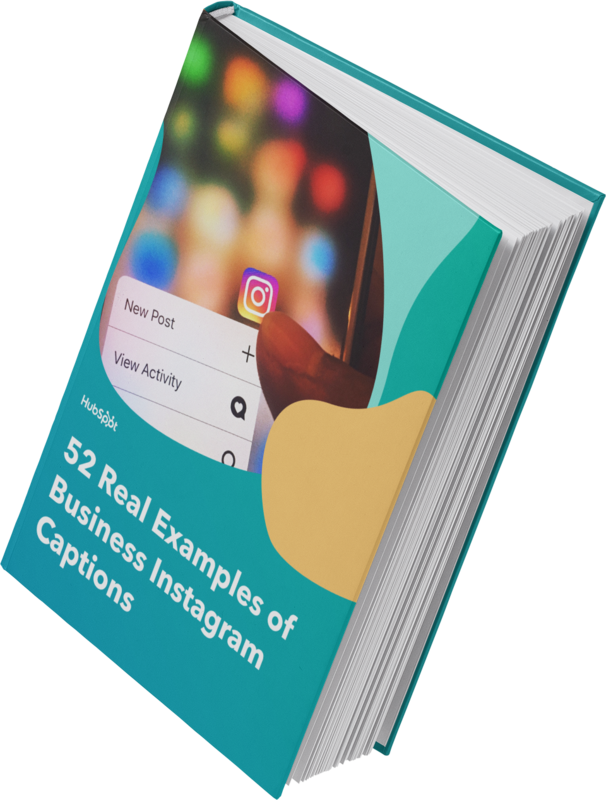 It's time to develop a strategic approach to the Instagram captions used on your page. 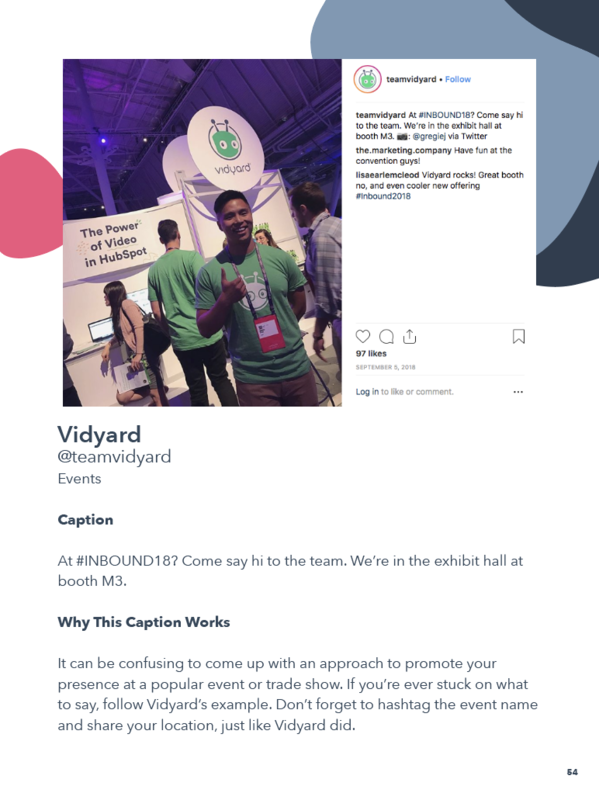 To help inspire your caption creation strategy, we’ve identified 52 brands like Airbnb, Vidyard, and Wistia with stellar Instagram captions for you to learn from.